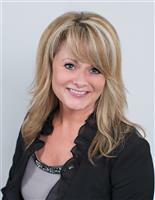 Jill is a broker associate and team member of the Yanni Georgas Team at RE/MAX Results. She is a native to Rapid City, South Dakota and is very connected to the community. Jill dedicated 20 years of her pre-Real Estate career to the field of social work/criminal justice, and she brings her passion to serve others, attention to detail, excellent customer service skills, and knowledge of the community and it's resources to the TEAM.